Electricity came to Alice Springs in 1872 in the form of 120 volt batteries used to operate the Overland Telegraph Line. For over 60 years individual power plants provided electricity to a limited number of town dwellings until the Commonwealth of Australia built the first power station in Bath Street in 1937. The concrete building could accommodate up to three electricity generating sets in deep flooring beds. A total of six generators were installed during the thirteen years the plant operated, mostly supplied by Ruston & Hornsby Australia in Melbourne . 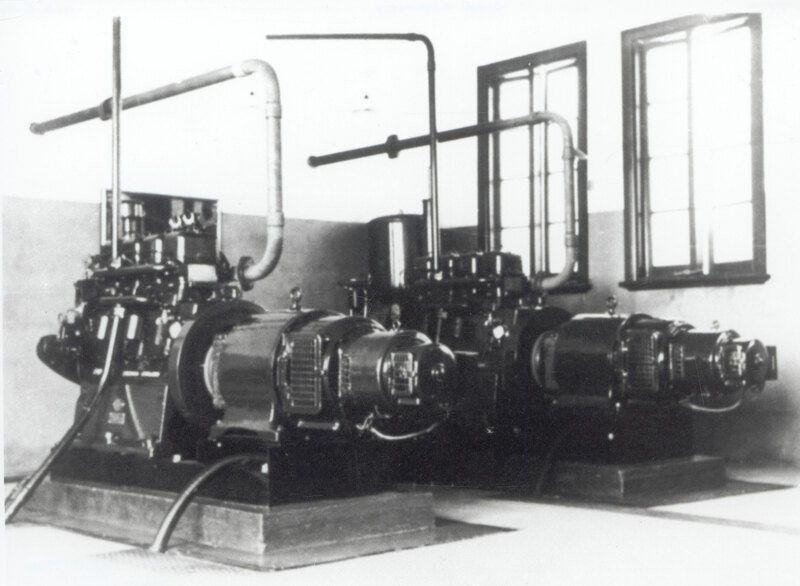 Although power was initially connected for six government institutions, by early 1938 over sixty dwellings and twenty-one street lights were wired up, thus improving public lighting and refrigeration means. In 1942 increased demand from residents and the advent of World War II made a larger plant necessary. Power generation moved to a new site in the Sadadeen Range and Bath Street power station was decommissioned in 1950. With the arrival of the Australian Army in Alice Springs as a consequence of World War II, demand for power increased rapidly. In 1942 electricity generation relocated from the number 1 power station in Bath Street to the Sadadeen Range where the terrain provided natural camouflage and protection from enemy aircraft. The number 2 power station was completed in March 1943 with major Army funding. The original building with floor to ceiling concrete walls and roof vents is still visible in the central section of the current power station. It was fitted with a PCT6 Crossley generating set which remained in service for 18 years. 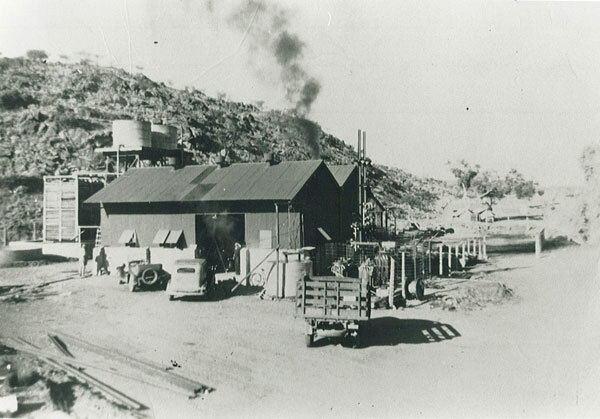 At the end of World War II, the Northern Territory Administration took over the electricity supply in Alice Springs. Sadadeen Valley power station was extended twice in the 1950s to accommodate larger capacity generating sets. It reached its present day configuration in 1957. The plant was decommissioned in 2010 with all power generation now originating from the Ron Goodin power station which opened in 1973.